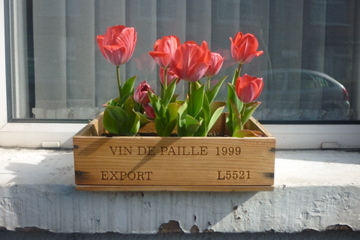 Covet not thy neighbour’s window box. Just could not resist sneaking up to my neighbour’s window earlier today to snaffle a shot of this absolutely glorious homemade window box! I have watched the empty wine box lid with curiosity for some weeks and am quite thrilled with what has emerged.